It seems that the crew involved with Nolan and Thorne weren't too far off. I am glad someone posted this. I agree. 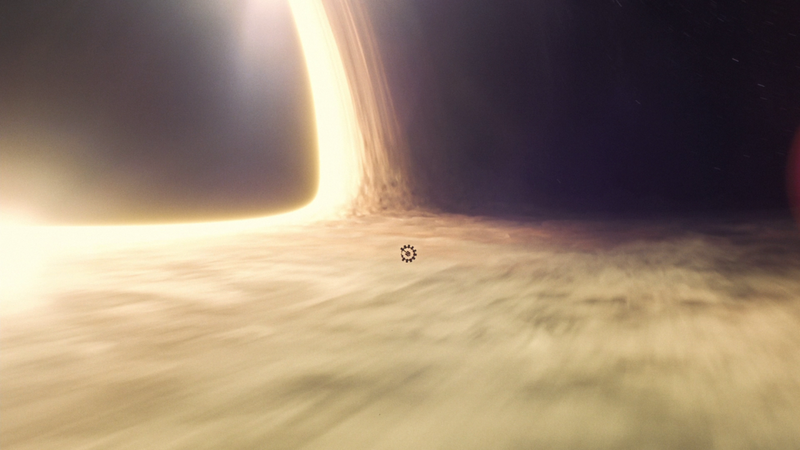 Although it looked a little cooler in Interstellar. 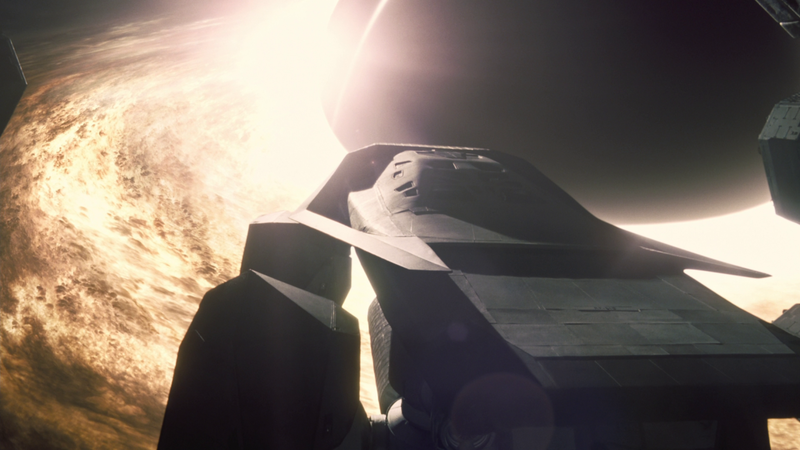 "In the end, Nolan got elegant images that advance the story. Thorne got a movie that teaches a mass audience some real, accurate science. But he also got something he didn't expect: a scientific discovery. “This is our observational data,” he says of the movie's visualizations. “That's the way nature behaves. Period.” Thorne says he can get at least two published articles out of it. 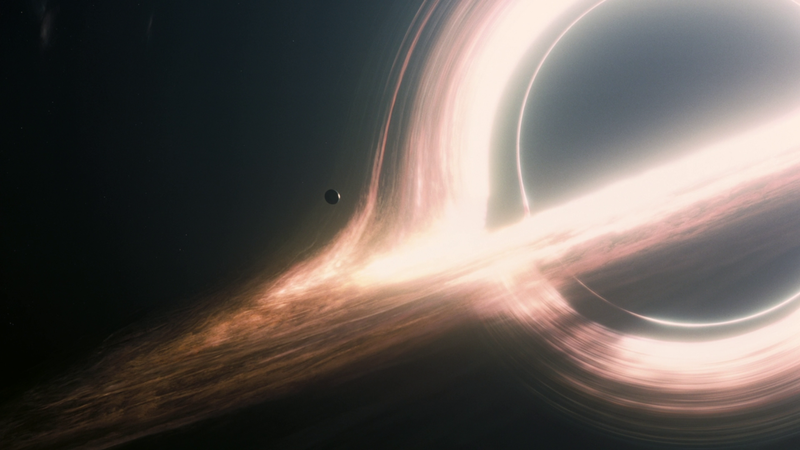 Correct me if I'm wrong but Interstellar had accretion disk plus lensing. I don't know much about them, but maybe this isn't a spinning black hole? Or maybe they are all rotational, I have no idea. We are seeing this black hole from one of its poles, unlike in the film. The light gets distorted around the black hole from this perspective whereas the accretion disk would be visible from its equator. "As far as the line going through Christopher Nolan's version, it just isn't visible from the official image due to the angle" according to Kazunori Akiyama, who compared it. "The light coming closer to Earth would be a lot brighter than the light moving away, which is what the M87 image shows. 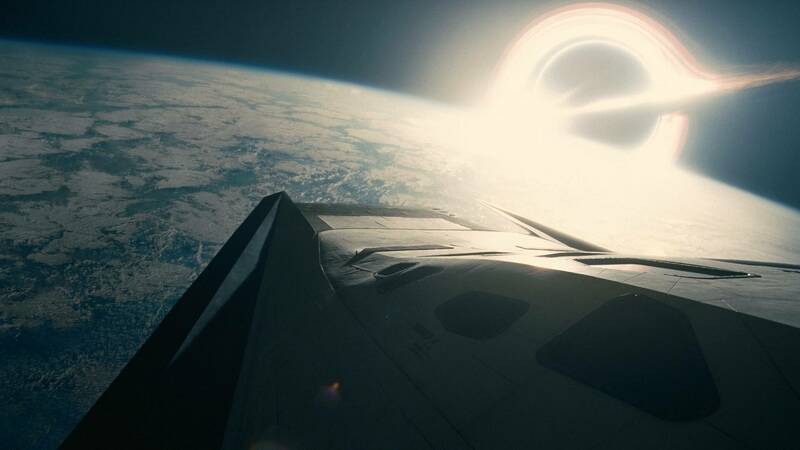 Christopher Nolan's would be brighter because they are closer to the supermassive black hole." One key difference, besides Nolan's lens flare, is the fact that the M87 shows a thicker accretion disk from what Kip Thorne originally thought. 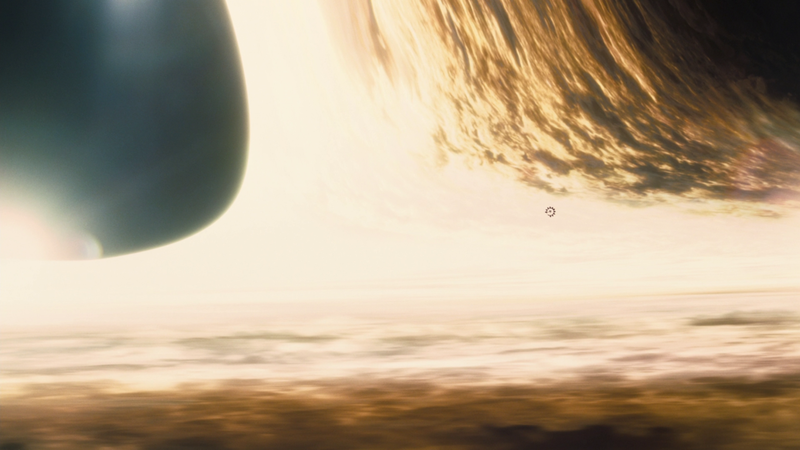 Speaking of which, it kind of bugged me in Interstellar that Gargantua had an inconsistent size in different shots. Here, we have Miller's Planet which is in front of Gargantua, if not somewhat at its side. Makes Gargantua appear huge by comparison. Now that we're above the planet, here it is in the far out distance. Must be massive then, right? But then everything else we see makes it seem like... just a little itty-bitty thing, in comparison. I don't get how big/small Gargantua actually is supposed to be. By the way, is Gargantua the "sun" for all of these planets, as well? Gargantua is a supermassive black hole... meaning it's most likely one that lies at the center of its galaxy. According to the book by Kip Thorne it's similar in size to the one that is at the centre of the Andromeda galaxy. It's density and size are so enormous because it allows its gravitational forces to be steady on the nearby planets and on Cooper to not get torn apart of spaghetified. As you can see its size is SO enormous it's hard to grasp. This makes showing and understanding its scale quite tricky. The perspective shifts due to different positions that we are thrown into but most likely also because Nolan wanted to show it visually as more comprehensible in some shots. As for whether it's the sun of those planets... not really. 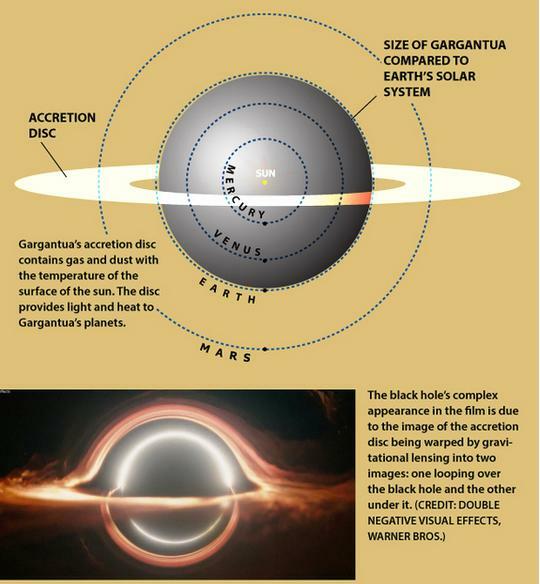 The film actually specifies that there is a neutron star surrounding Gargantua and that is most likely the star of Miller and Mann's planet and the main source of light (though the massive nature of the black hole and it's accretion disk will also create a lot of light on the planet's surface. Perhaps even a constant day). Edmunds is located further away and it's orbiting a different star. Which actually should have been their first try, regardless of the lack of fuel. The closer you get to a black hole, the more extreme the conditions would be. Edmunds always felt like the safest... if not the only bet, of course if you don't consider Dr Mann's lies. Thanks. I agree that Gargantua should be massive, but definitely felt relatively tiny in all of the shots by the end of the film. It looked like they could fly around it like it was just a big dome, lol. I know what you mean by what Nolan was trying to achieve. Just made it hard to feel out. But yeah, now that you mention the neutron star that sounds familiar.